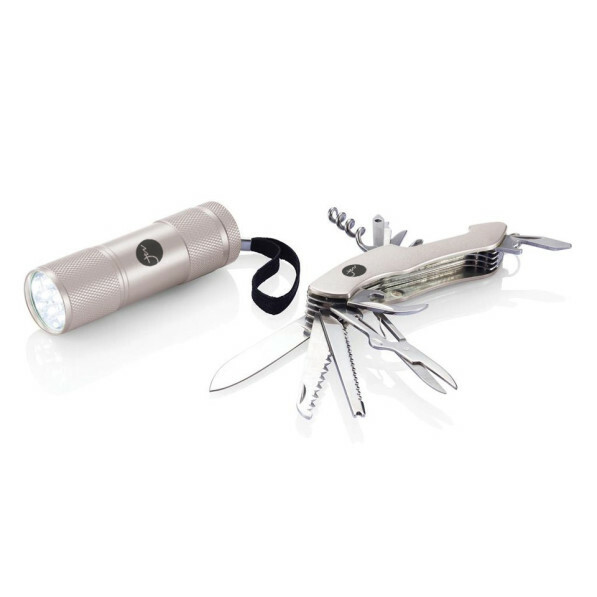 This is a handy kit with a multifunctional tool and a flashlight, ideal for outdoor outings! With its 13 functions, this tool will be useful for all occasions: matt anodized aluminum knife with large blade, saw, fish scaler, nail puller, scissors, bottle opener, flat screwdriver, can opener, corkscrew, cross screwdriver, small blade, nail file and oak. 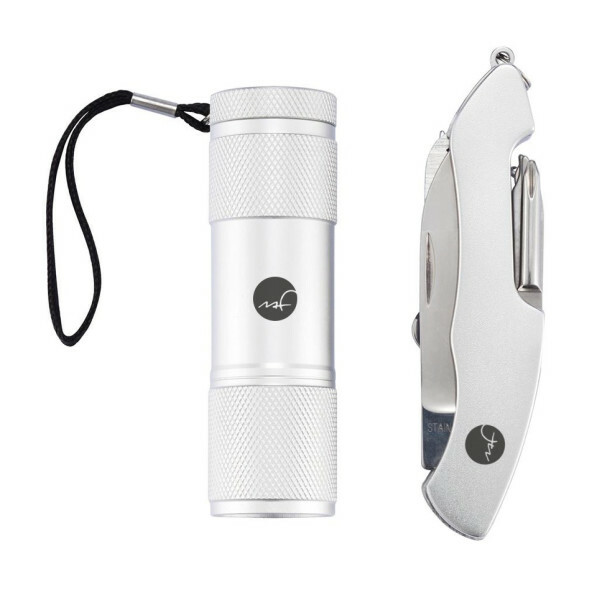 The flashlight made of matt anodized aluminium consists of 9 LEDs. It requires 3 AAA batteries: not included. The Martin Fourcade logo is laser engraved for a qualitative long-lasting customization with a beautiful metallic effect. 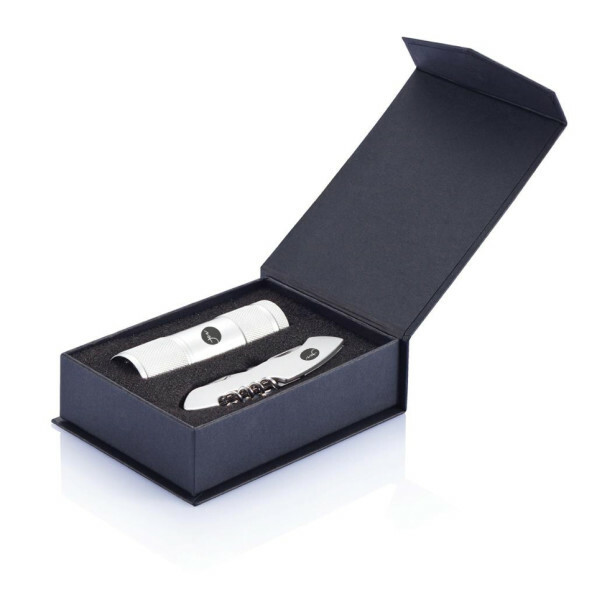 The duo is delivered in a black, magnetic and elegant gift box. You will make people happy!